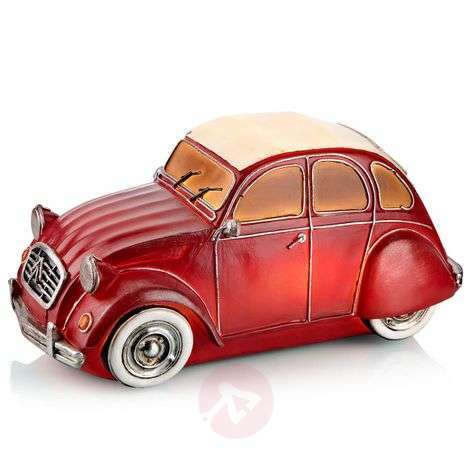 The battery-powered LED decorative light Nostalgi is in the shape of a small Citroën CV and made of translucent resin. Due to this choice of materials, the entire body is evenly suffused with a warm white LED light when the light is turned on, creating a particularly pleasant light impression. The practical six-hour timer function allows the light to turn on and off automatically. 3 x AA batteries not included.